BLOODMANIA, the final film of The Godfather of Gore, Herschell Gordon Lewis, is now available to buy, rent and stream on Amazon! I even wrote the third segment, The Night Hag! You’ve got to watch it now. Click here to head over to Amazon and take a look! What’s this, you ask? What does it have to do with yours truly? Watch, learn the truth, and share, share, share! I’m honored to have written a part of The Godfather of Gore’s final film! 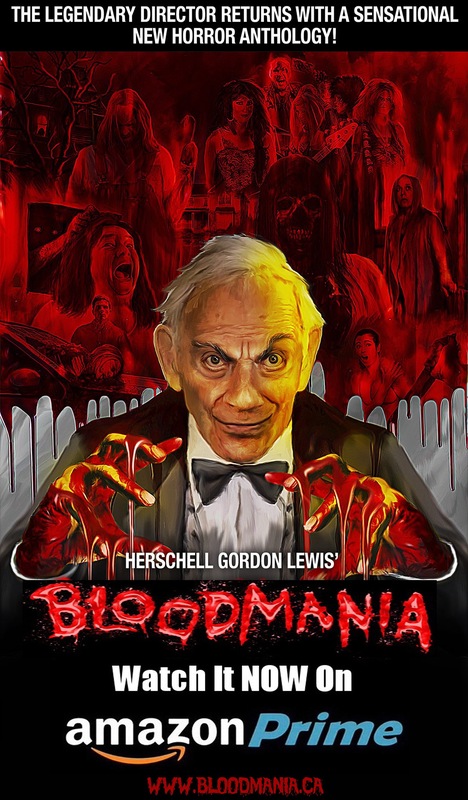 Herschell Gordon Lewis’ BLOODMANIA has been picked up for distribution and will be available this Spring! FOR IMMEDIATE RELEASE Herschell Gordon Lewis’ final film to be distributed by Monarch Films Inc.
“Herschell Gordon Lewis’ BloodMania” is the final film by legendary horror director Lewis, affectionately known as the “Godfather of Gore”, who passed away in late 2016, after a career in film spanning over fifty years. “I am very excited to add Mr. Lewis’ final film to the quality package of new films we will be premiering at MIP 2017. We have already heard from many of our key TV and DVD buyers worldwide expressing their interest in licensing “BloodMania” for their territories. We will be making “BloodMania” available to horror fans worldwide via Amazon Prime and dozens of additional VOD, PPV, and streaming platforms later this spring”. The horror anthology film consists of four tales – each representing a different genre of classic horror cinema. Lewis himself described the film as, “… a perfect combination of horror and comedy”. 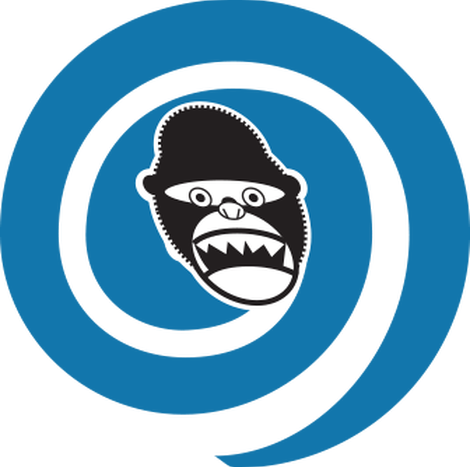 Mr. Lewis wrote and directed two segments. The other two were directed by Melanie Reinboldt and Kevin Littlelight. The anthology stars Roger LeBlanc, Stuart Bentley, Sonia Deleo and Caroline Buzanko. A release date for “Herschell Gordon Lewis’ BloodMania” will be announced shortly. 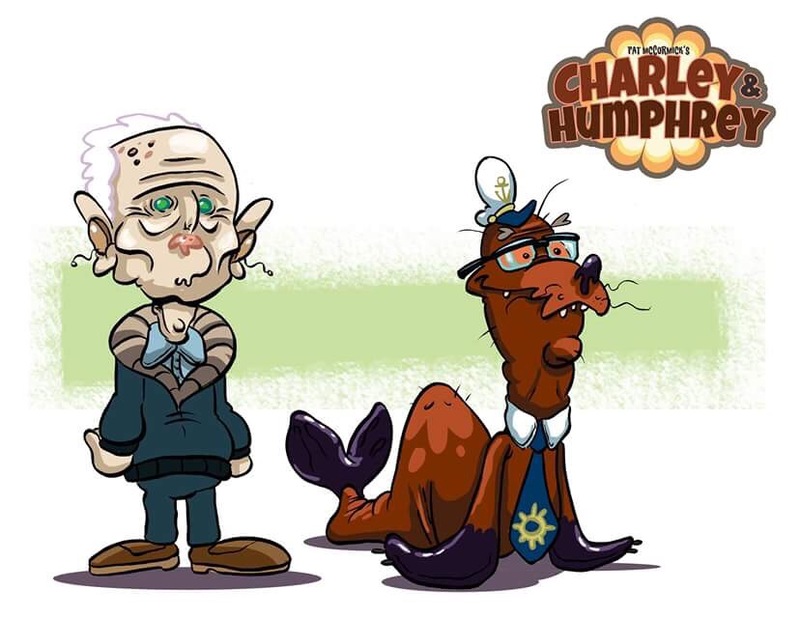 In case you were unaware, my co-conspirator John Hageman (artist on The Woodland Welfare Manifesto) and I have been putting together a comic book entitled CHARLEY & HUMPHREY, based on the television characters created by Pat McCormick! 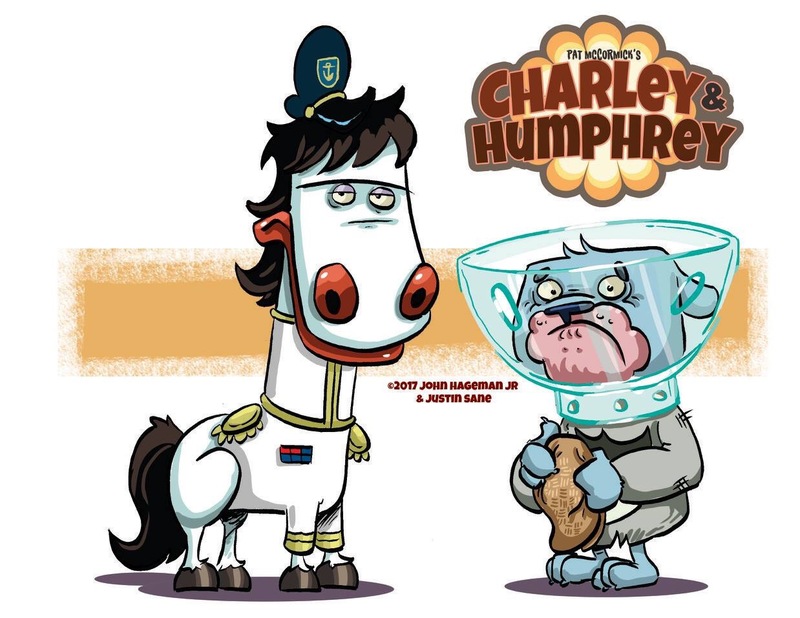 These two rascals – a cantankerous horse and his sweetly naive, but well-meaning, bulldog sidekick, were staples of Bay Area TV for decades, before retiring some 30-odd years ago. 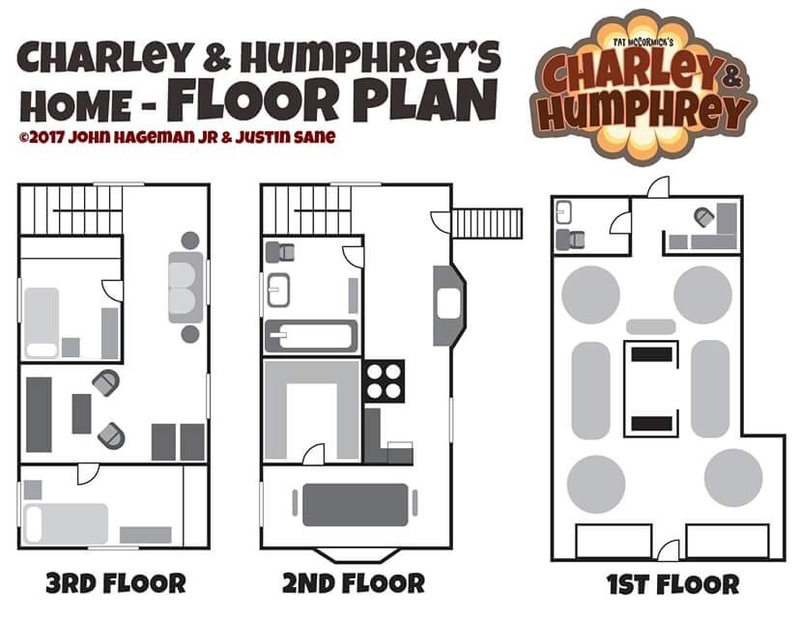 With Pat’s blessing, it is our privilege to reintroduce these beloved icons back to the world in CHARLEY & HUMPHREY – illustrated by John Hageman and written by myself! 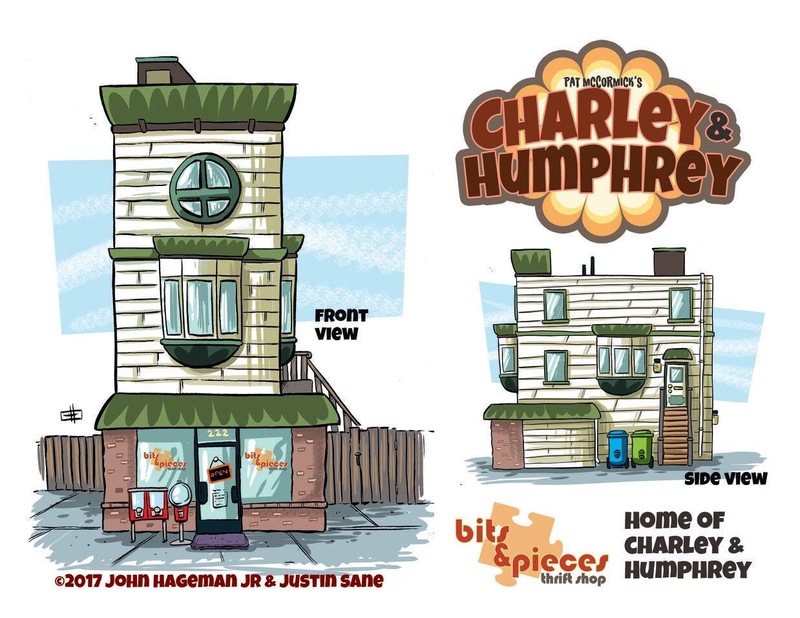 Here’s a sneak peek at what’s to come in Issue #1! 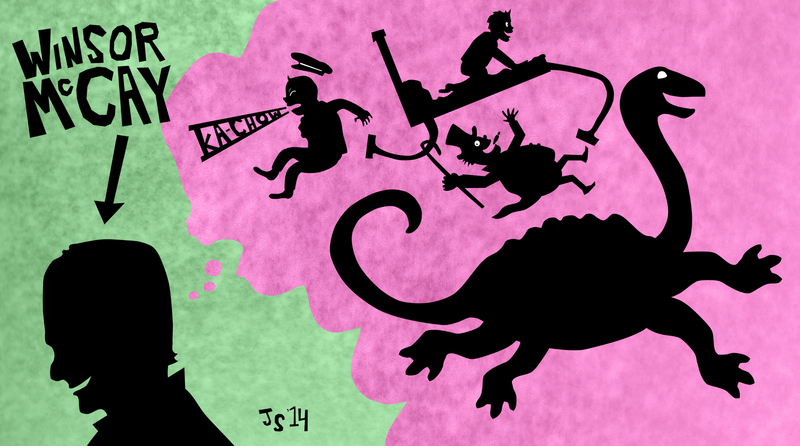 I’ve added some of the art I did for various COMICS ALLIANCE articles to my GALLERY page! Check ’em out!